VPX Sports’ extremely unique new Bang Keto-Coffee, which wasn’t expected to be available until early next year, is now available for pre-order. The product sets itself apart from all of the other Bang drinks by combining the usual 300mg of caffeine for energy with C8 MCTs for fuel and 20g of protein. As mentioned, from today you can now pre-order Bang Keto-Coffee directly from the VPX Sports website. All three of its delicious sounding flavor options are available to choose from including Cookies and Cream Craze, Heavenly Hazelnut, and Mocha Madness. 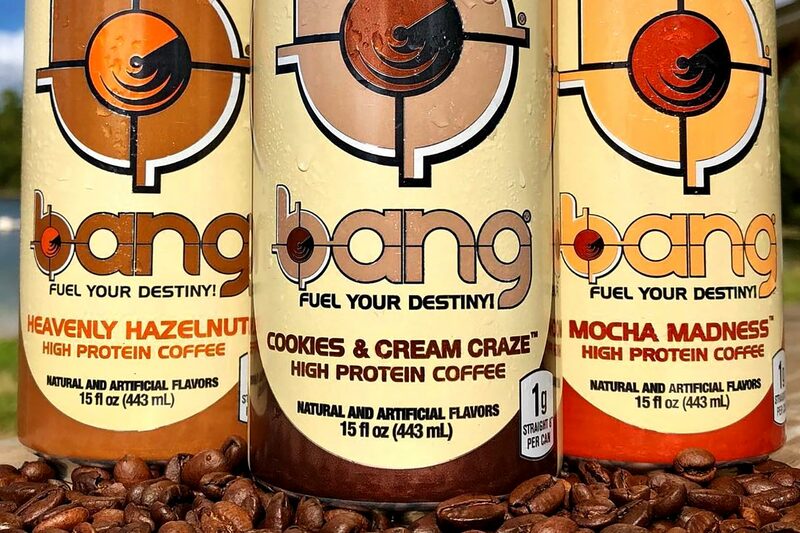 The price on Bang Keto-Coffee is as expected, a little more than the typical zero sugar, zero calorie Bang Energy drink. Instead of costing VPX Sports’ regular Bang price of $31.99 for a 12 can case, Bang Keto-Coffee is currently just less than 45% more expensive at $46.33 per case. All pre-orders of VPX Sports’ Bang Keto-Coffee are actually due to go out very soon with a shipping date range of between Monday the 19th of this month to Wednesday the 21st.